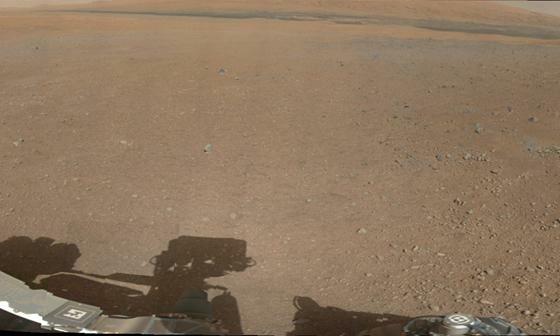 Curiosity rover has returned its first 360-degree color panorama from the surface of Mars. The robot used its wideangle science camera placed high up on a mast to acquire the frames. The low-resolution vista shows at centre the big mountain that lies in the middle of Gale Crater, the deep depression in which the rover landed. Curiosity’s ultimate goal is to drive towards this peak – informally known as Mount Sharp – to study its rocks. Evidence from satellite photos has suggested there are sediments exposed at the base of the mountain that were laid down in the presence of abundant water. Curiosity rover will uses its science instruments to try to understand what kind of environments existed at the time of the rocks’ formation, and whether there were periods in Mars history when any type of microbial life could have thrived.